The Modish Outdoor Seating Collection is the epitome of unique and Summertime Lounging! 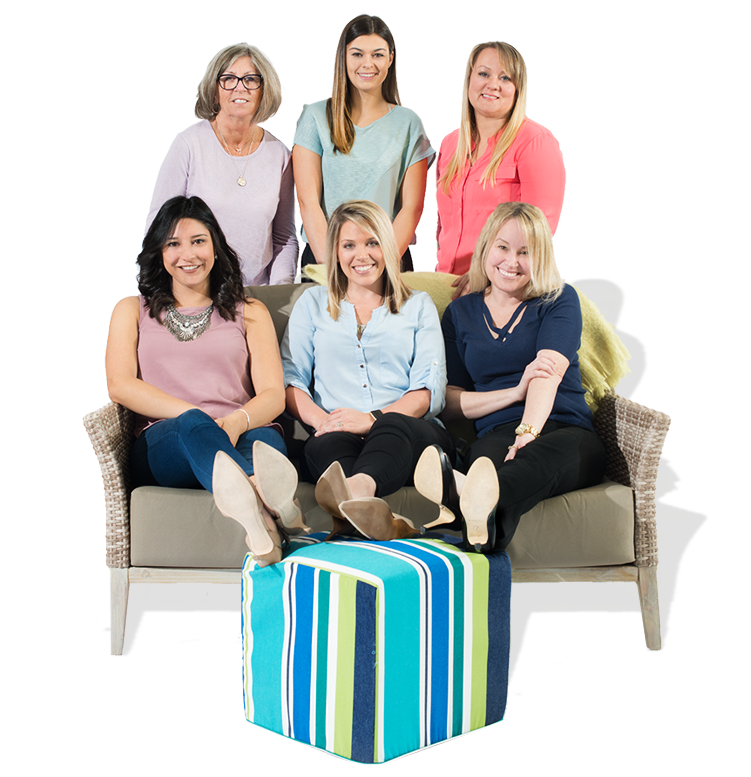 Fashioned in complete premium material, this grouping won't be like anything you've ever sat in before. The luxurious Modish grouping is manufactured completely of compressed foam, allowing you to assemble any piece in under 5 minutes. Fully equipped with water and sun resistant canvas, there is nothing stopping you from bringing chicness to your outdoors with this set. The modular pieces of this collection are sold individually, but can quickly and easily be joined together to form a Sectional or Sofa grouping by attaching the desired pieces with the bottom clips. The magic and comfort behind feeling as though you are sitting on complete foam with the Modish Collection is the fact that you ARE! Don't let this kind of comfort slip away. Limited Assembly Required: Under 5 Minutes! 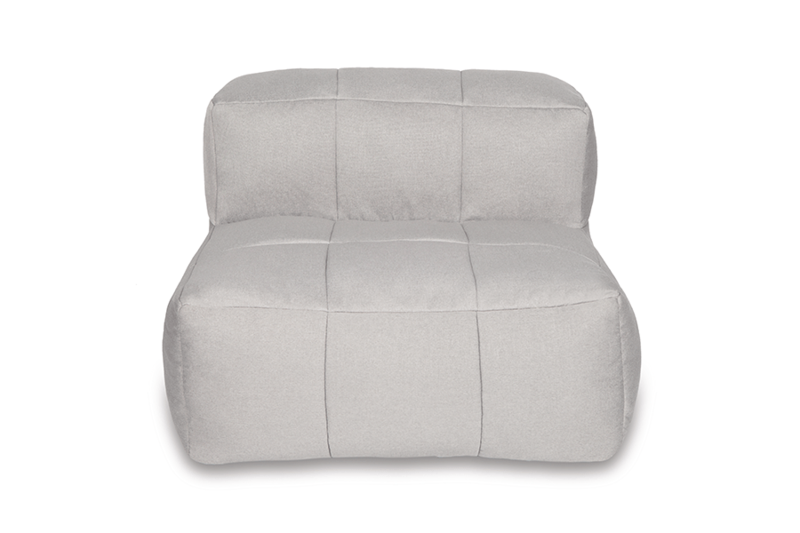 Corner: 36" x 36" x 24"
The Modish Armless Lounge Sectional Piece is a foam-lovers dream! Available to use as a single seat, or attach to other modular pieces to create a sectional, this collection is equipped with everything you could ask for! The primary features being water and fade resistant fabric, and ultimate comfort. 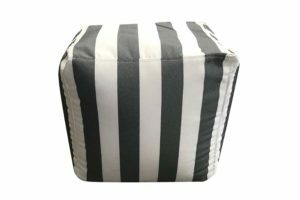 If you're one to add a little texture to your outdoor decor, then the Modish Armless Piece in Dark Stripe might be the choice for you! 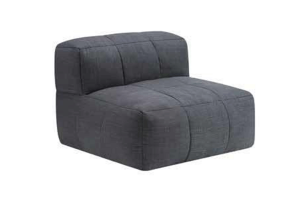 Create a chic, L-Shaped sectional in your desired area, or simply have this piece on it's own for a relaxing seat by the pool. The Modish Corner Section Piece can style your backyard is a variety of ways! 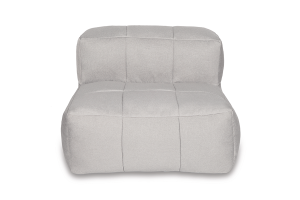 Clip two corner pieces together to create an intimate Loveseat or link Armless pieces on each end to form a perfect L-Shape! 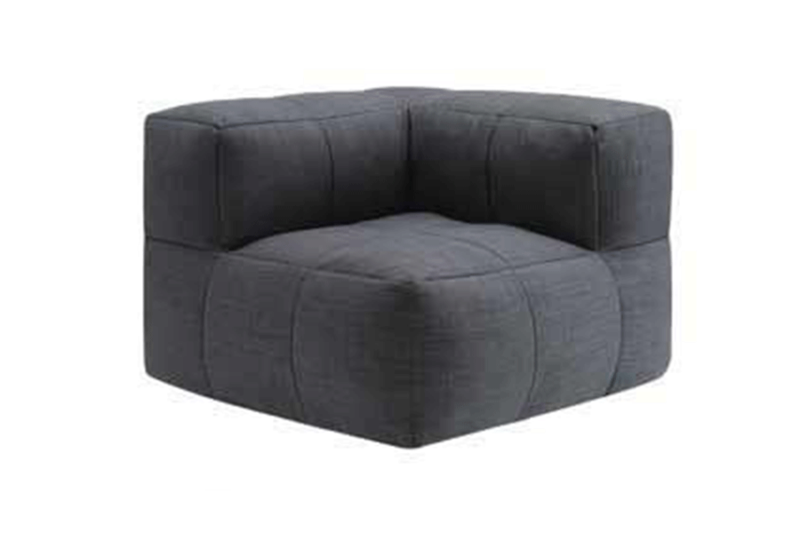 If neither one suits your space, the Corner works amazing on its own as a cozy seat for one. 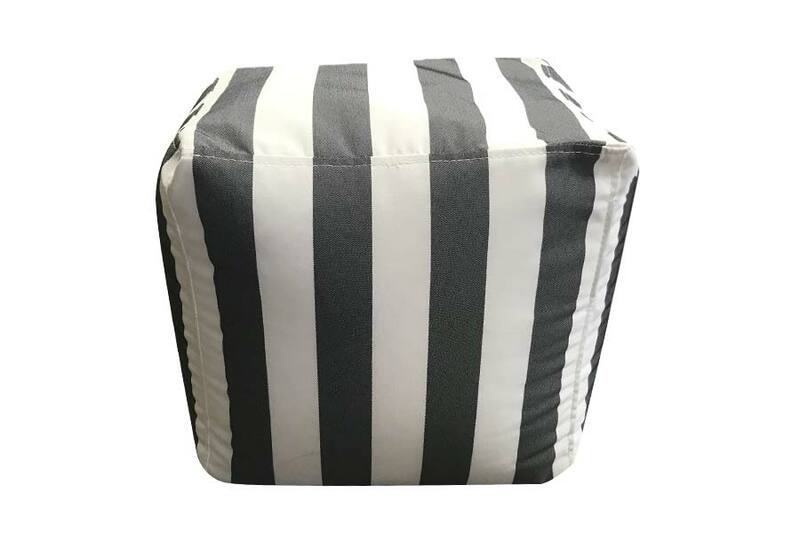 The Modish Dark Grey Stripe Ottoman is manufactured with all the details to make it an easy, maintenance-free addition to your outdoor space. Made with completely water and fade resistant canvas, this piece is great for laying out by the pool or near other modular pieces as an extra seat.